I couldn’t have earned my company’s incentive trip without the help of Maven! 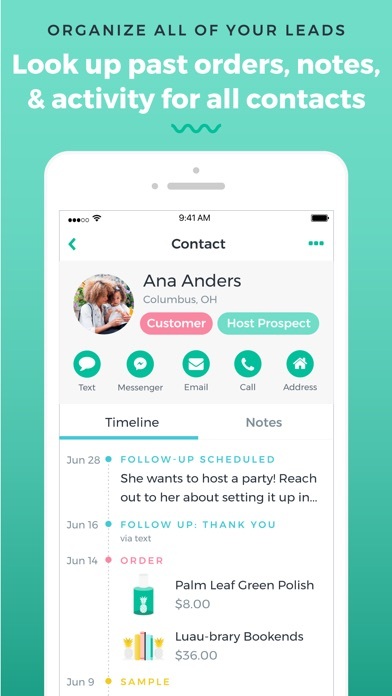 Keeping track of follow ups was nearly impossible before this app. I also love that the creators are constantly updating and improving functionality to make it even more user-friendly and intuitive. THANK YOU! Maven has allowed me to easily and consistently follow up with my customers. Using the message templates, I can text my customers with just a couple of taps. I now follow up with every single customer at intervals that I can set, and be confident that I am not missing anyone. And using the contact form during vendor events as a registration for a door prize means no more stacks of drawing slips that have to be manually entered and are sometimes illegible. Maven has truly changed the way I work my business! I recommend it to everyone. Definitely worth it to have the premium version! I was so excited to learn about Maven! My customer follow-up system was non-existent and I found it awkward to reach out to past customers. It really bummed me out when I realized that I hadn’t followed up with someone who I knew would have been an amazing customer if I had at least tried. When I downloaded Maven I decided I would treat my to-do list like a daily challenge. “Dismissing” a task is not an option for me. To be completely honest I was terrified to follow-up because I was worried about what response I would get, but I hit send on those follow-ups anyway. I’m amazed at how positive the feedback has been! Customers who otherwise would have been one-time customers thanked me for following up, asked me questions and told me they’d be placing another order. Some even placed second orders on the spot! I also love that I can create wish lists for customers or create reminders for individual customers. I can’t wait to see where Maven takes my business! Thank you Maven! This helps streamline the direct sales business. 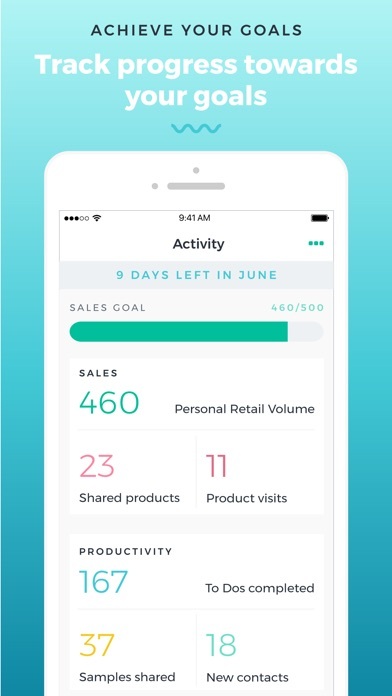 It helps remind you to set goals and reminders to follow up with customers. It even has preprogrammed messages for you! The premium version does cost but is well worth it. I do like this app and it does work great, it has helped me with my follow up, I do think it’s a bit over priced for the monthly subscription, but you do get more sales because of the follow up so I can see why they charge the price they do. I do feel it’s more of a $4.99 a month value rather than the $7.99. If they could some how differ from an order that was directly shipped and those that were placed in a party that would be nice. I often get reminders for follow ups for two days or sometimes two weeks and there order hasn’t even shipped yet. Also an option for inventory would be really helpful. This way we can keep tabs on what they bought and follow up from there which could also help with sales. Overall a great app. Makes my business so much easier! I have the hardest time keeping up with my small business and follow up. 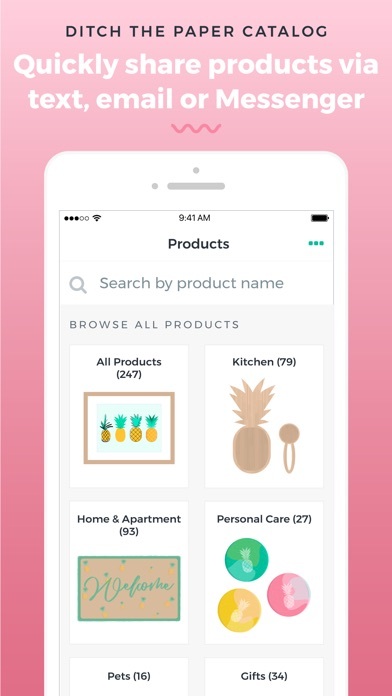 I love how this app keeps track of my customers, tells me when they last purchased something, AND everything they’ve purchased!! It tells me when it’s time to follow up with them to make sure I provide the best customer service ever and have continuous customers with multiple purchases. I love this app! Makes follow up’s easier than ever! Coming from someone who rarely followed up with customers because I hadn’t been able to find a system that fit into my schedule. I was looking for quick and easy and that’s exactly what this app is!! The best app for my small business! 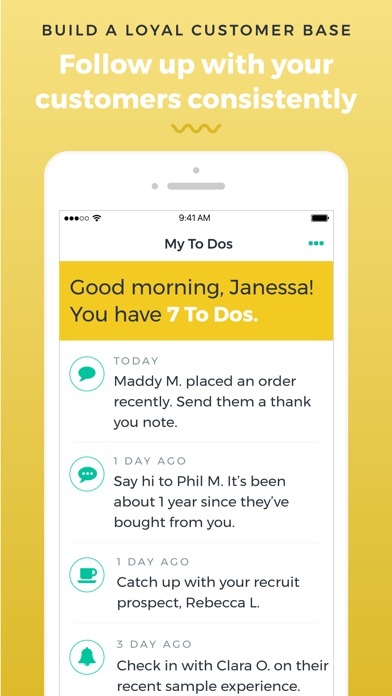 Takes all the legwork out of tracking orders and follow-up. My sales have consistently increased and relationships with customers have been strengthened. Thanks Maven!